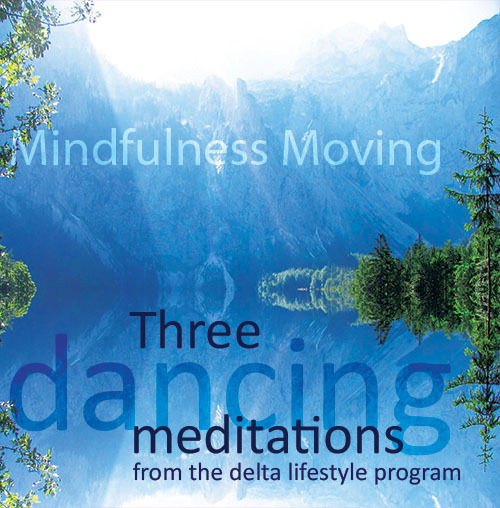 Three 20 minutes movement meditations with step-by-step instructions and specially designed music. 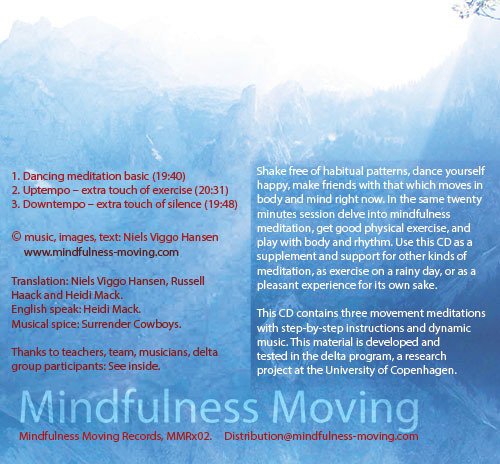 Each session combines mindfulness training and stress release with physical exercise and playful rhythms. 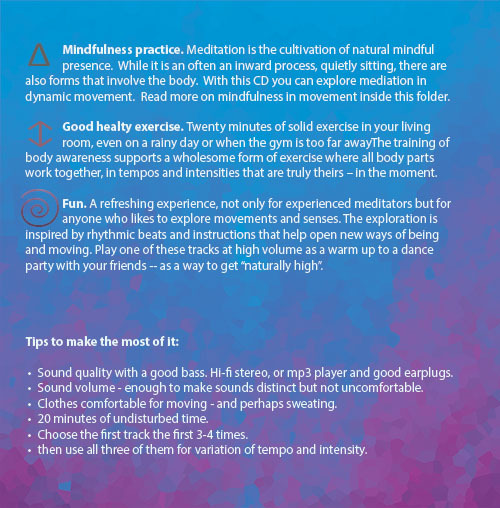 Use these exercises either as support and inspiration for other kinds of meditation, as exercise on a rainy day, or as just good clean fun for yourself or with friends. The material is developed and tested in the Delta lifestyle program, a research project at Copenhagen University. Alternatively, you can find and buy the title on Amazon, iTunes, etc.